Heroku Cloud Conversion and Sync. 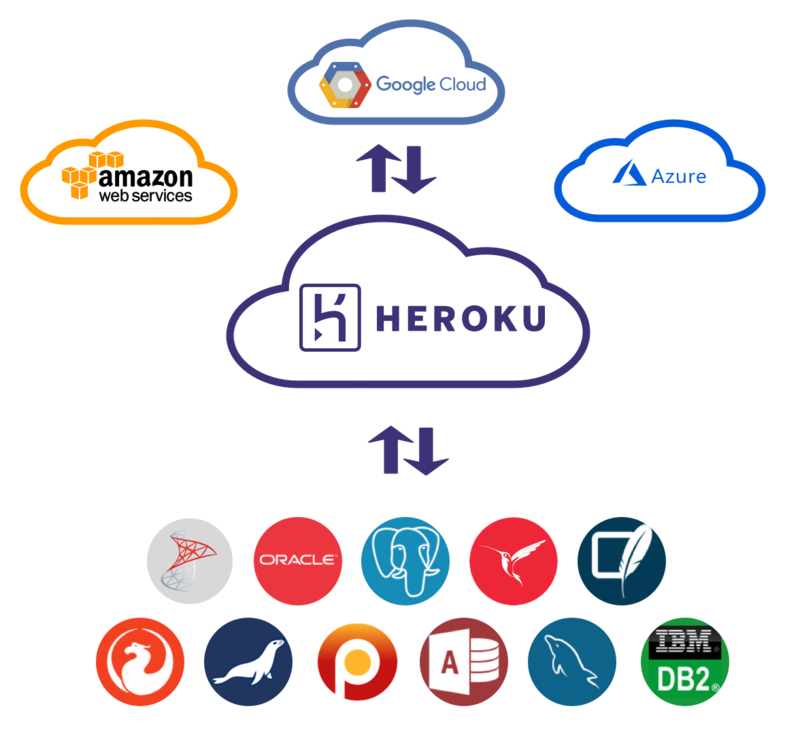 Heroku Cloud platform is built on the standard PostgreSQL engine and successfully processes millions of transactions every day. Customers who use this service can focus on their application development tasks, rather than on database administration. Heroku users are protected from the abandonment of their databases, as the system creates multiple copies and takes into account any changes when writing data. Moreover, if you ever decide to return to on premise database, this is possible. There are no barriers to stop you. DBConvert database migration software simplifies the exchange of data between different servers and clouds. It effectively and reliably transfers records in the following format: PostgreSQL, MS Access, MS SQL, Oracle, MySQL and to other Cloud Servers as Microsoft SQL Azure, Amazon RDS and Google Cloud SQL. No matter whether you are going to migrate the full database to/from the Heroku Cloud or Syncronize only some data, our solutions automate such processes rapidly and securely transferring databases between Cloud platforms and on-premises databases. All PostgreSQL conversion and synchronization related applications support migration of data between Heroku Cloud and other on-premises databases and Cloud databases. Heroku Cloud configuration manual for DBConvert.